"If you're an actor, always be true to your character," Robert De Niro told graduates of Bates College. "If you're not an actor, have character and always be true to yourself." As he received an honorary doctorate Sunday, Oscar-winning actor Robert De Niro told Bates College graduates that despite his own lack of formal education, he made out OK.
During a 15-minute address that was by turns sincere and irreverent, De Niro drew a steady stream of laughter from the 463 graduating seniors and more than 5,000 onlookers at the private, liberal arts college's campus. De Niro, who quit high school to pursue an acting career, was one of three high-profile guests who received honorary degrees at the Bates commencement. PBS "Newshour" senior correspondent Gwen Ifill and Princeton University molecular biologist Bonnie Bassler also were honored. But it was De Niro who stole the show. "In many ways, leaving school when I did it was an advantage. I saved nearly $6,000 by not having to pay tuition and expenses for four years of education," he said. "I feel a little foolish, because if I had waited until now not to go to college, I could have saved around a quarter of a million." Looking back, he said, "it worked out just fine. I saved the money, and I got the degree." The honorary doctorate of fine arts was conferred by Nancy Cable, interim president at Bates. Trustee Michael Chu, De Niro's friend, presented the degree. De Niro also offered the graduates some serious advice. "If you're an actor, always be true to your character," he said. "If you're not an actor, have character and always be true to yourself." 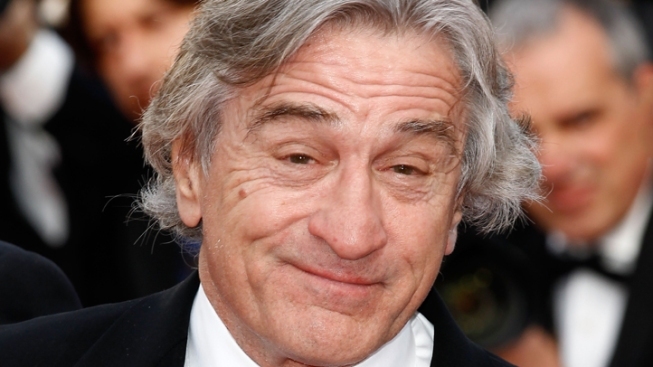 De Niro won a best actor Academy Award for "Raging Bull" and best supporting actor Oscar for "The Godfather, Part II." He earned four more Oscar nominations.